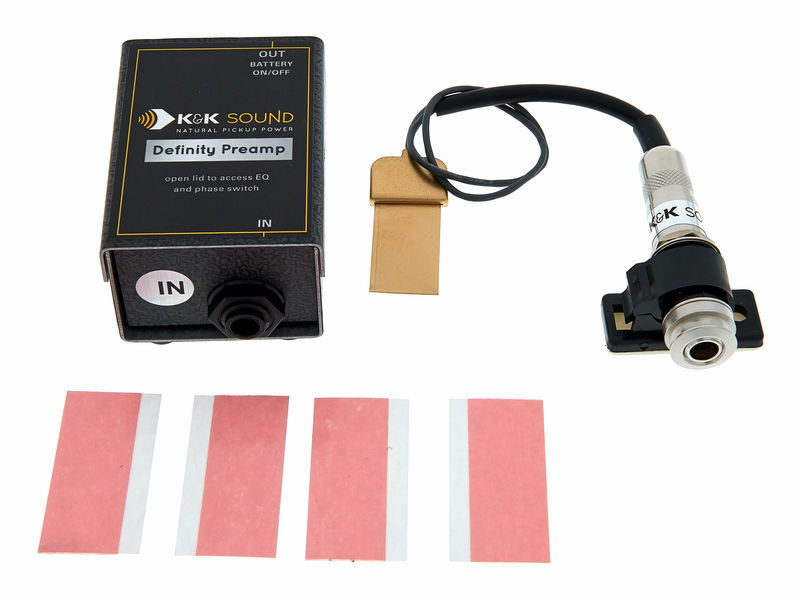 The Definity System is a brand-new solution that delivers K&K's natural pickup power to a variety of difficult to amplify acoustic instruments in an elegant and easy-to-install package. It is designed to work with virtually any floating bridge instrument, like Archtop and Macaferri guitars, and even semi-acoustic electric guitars with Tune-o-matic bridges. It is also well-suited for the banjo, cello, and many ethnic or folk instruments like bouzouki, saz, etc. One single pickup element usually transmits an entire instrument with good balance. The Definity System comes with a stereo endpin jack (soldered mono) that allows for future upgrades. The endpin jack includes a self-adhesive clip that can be removed. It allows you to choose internal or external jack locations. The pickup is only 6/1000 of an inch thin and measures 1 3/4” x 3/4” total. We call it a “compression pickup” because it is especially suited for “wedged” applications under a floating bridge. However, the pickup element is capable of transmitting sound like soundboard transducer as well. In fact, we found that the best tone is achieved if the pickup is mounted so it is partially “wedged” and partially open on the soundboard. The Definity pickup reaches its true potential with a preamp. A basic solution is the Definity Preamp, which features a phase switch, adjustable mid and treble controls (via trimpots), and a 1/4” line out. A more professional solution combines the Definity pickup with a Pure XLR Preamp. It features +/-20 db bass, mid, and treble controls, plus an adjustable input gain control. Its noiseless circuitry provides unsurpassed clarity and power and the adjustable input gain allows you to dial in the precise amplification factor needed for your instrument. The Pure XLR Preamp has the same great sound and low noise circuitry as our best-selling Pure Preamp with the addition of a DI balanced XLR output and a phase switch. The Pure XLR Preamp is specially designed to complement our line of Pure pickups. However, due to its adjustable input gain and wide frequency range it will work with many more applications. 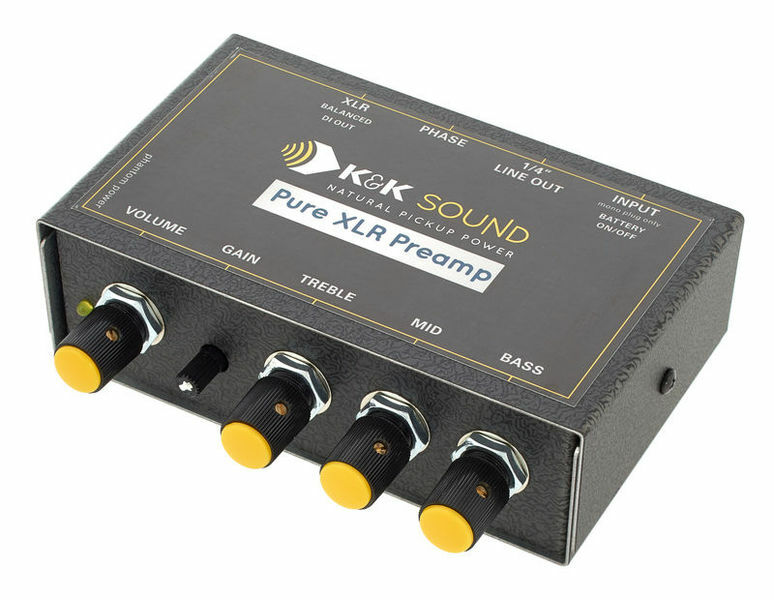 The Pure XLR Preamp features +/-20 db bass, mid, and treble controls, plus an adjustable input gain control. Its noiseless circuitry provides unsurpassed clarity and power and the adjustable input gain allows you to dial in the precise amplification factor needed for your instrument. The addition of the phase switch is one of the most important tools for live sound amplification of any acoustic instrument. Phase switches are usually marketed as a feedback-controlling device, but they accomplish more than just that. Every acoustic instrument projects sound waves in a certain phase. The phase that is projected out of the amplified speaker source needs to be "in phase" with the acoustic instrument's own soundwaves or the result will not be optimal. If the amp projects in the opposite phase, the acoustic instrument will fight its own sound and no balanced tone can develop. Round and warm tone is only achieved when acoustic and amplified sound oscillate in the same phase. The Pure XLR Preamp's phase switch allows for instant correction of this problem. An LED light indicates if phantom power is present. The unit can optionally be powered by a 9-volt battery, which will not be drained as long as the phantom power provides more than 10 volts. Frequency response is 10-30,000Hz. The bass control is set to roll of at 100Hz, the midrange at 1.5kHz with extra large bandwidth and the treble are set at 10kHz. Input impedance is 1 meg. Output impedance on balanced XLR and 1/4" line out is 100 Ohm. 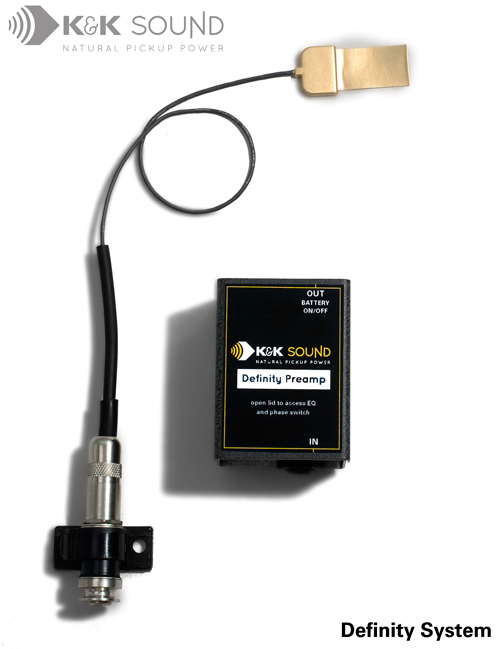 The 1/4" line out can conveniently be used as a monitor out or for connection to a tuner.